The new style Hitachi T-base adapter is compatible with the newer style FESEMs from Hitachi: S-4800, SU-70, SU6600, SU8000 series and SU8200 series. It comprises a full aluminium T-Base with stainless steel grip block. The vacuum grade aluminium block is threaded with M6 standard thread to facilitate the use of the Hitachi stub extensions. Includes an M4 screw to mount the Hitachi stubs or M4 threaded sample holders. Additionally available are new style T-base adapters with extra height for thin sample and/or the a higher adjustment range with the stub extensions. Each of these parts is fully compatible with the existing Hitachi stage adapter for the TM series. Included is an M4 screw on top of pillar to mount the Hitachi M4 stubs or M4 threaded sample holders. Useful as additional or replacement stage adapter for the Hitachi TM series table top SEMs. 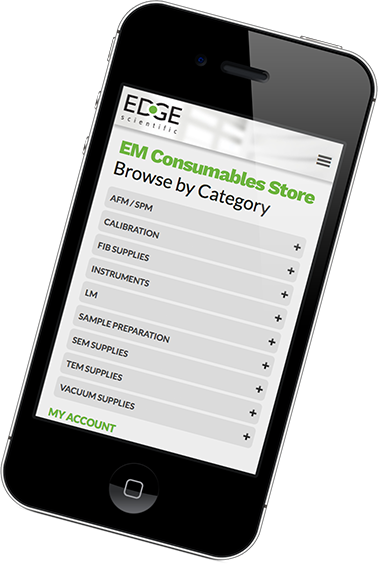 Fully compatible with all EM-Tec SEM sample holders with M4 threaded hole. This older style Hitachi T-Base adapter is compatible with the Hitachi S-4700, S-4500, S-4300, S-42300, S-4100, S-4000, S-800 FESEMs and S-3600N SEM. It consists of an aluminium T-base body and self-aligning brass float bar to enable easy insertion onto the SEM stage. 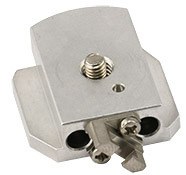 The aluminium block is threaded with M6 standard thread to facilitate the use of the Hitachi stub extensions. Includes an M4 screw to mount the Hitachi stubs or M4 threaded sample holders. The Hitachi stub extensions fit on various Hitachi stage adapters and are intended for height adjustment/extensions. Use the shorter extension for tall samples or long working distances. The longer extensions for thin samples and /or short working distances. The Hitachi stub extensions sets comprise a brass pillar with standard M6 thread, an M4 screw on top of the pillar, M4 threaded hole in the base of the pillar and an aluminium locking nut. The pillars are stackable to achieve longer distances. The pillars and locking nut are also separately available.